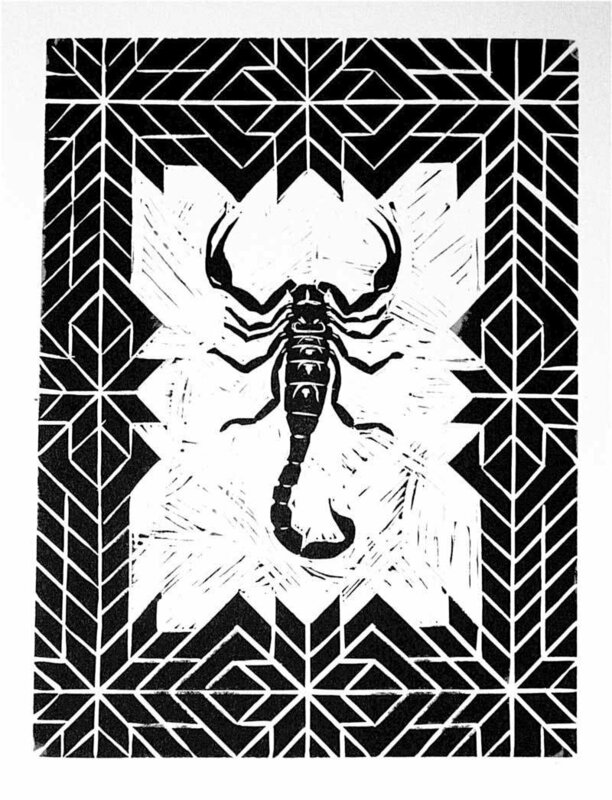 This limited edition print is of a scorpion accented by a frame of geometric patterning. This print is signed, numbered and dated by me, the artist. The print was done using Caligo oil based printing ink on Somerset 100% cotton paper with a neutral ph. The print measures 12 by 9 and is surrounded by a one inch border with deckled edges. This print is part of larger series of linocuts of insects.